At Joplin Urgent Care, you’ll receive the services and screenings your employer requires. While appointments are appreciated, there is no appointment needed. Just walk in and our friendly, well-trained medical team will quickly attend to your needs – at a time that’s convenient for you. With our full range of occupational physicals and screenings, we can offer you peace-of-mind that you are healthy and able to perform at your best. If you are a Driver of a Commercial Vehicle, The Department of Transportation (DOT) and Federal Motor Carrier Safety Administration Regulations Require that you undergo a comprehensive physical exam performed by a medical examiner every two years. When scheduling appointments, we’ll let you know of any supplemental information that you may need to bring from your primary care physicians or specialists. We also accept walk-ins, but we recommend calling us at 417-782-4300 to ensure a medical examiner is on staff. Many employers require their employees to take drug tests or they may be mandated by regulations for particular industries. We offer a full range of drug testing services and will walk you through the process when you arrive. Our staff is trained as approved specimen collectors and breath alcohol technicians. We provide in-house rapid 5 and 10 panel drug screens, federal and forensic collections (which can be sent to lab per employer request), breath alcohol testing and confirmation tests with our DOT approved breath alcohol machine. What should the employee bring with him/her? Valid driver’s license, state/federal/local issued ID, or employer issued badge. Payment from company or self-pay payment due at the time of treatment. Any medical documentation needed for a Department of Transportation (DOT) physical. Feel free to call and one of our trained staff members can guide you through the process. Visits must be employer approved in advance. What is the usual wait time? 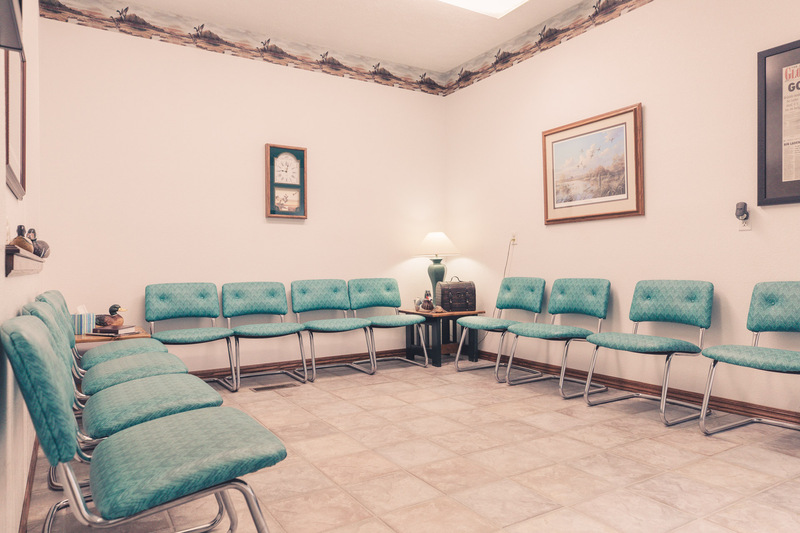 Your wait in our waiting room will be very short. Every visit varies as each case varies. The visit time will be dependent upon what services or procedures are necessary. Do I have to have an account set up? Unless payment will be made at the time of service, we do require an account be set up. Can I send my employee to you and pay at the time of service? What kind of drug screens do you do? We conduct 5 and 10 panel drug screens. A return to work release is dependent upon your injury.